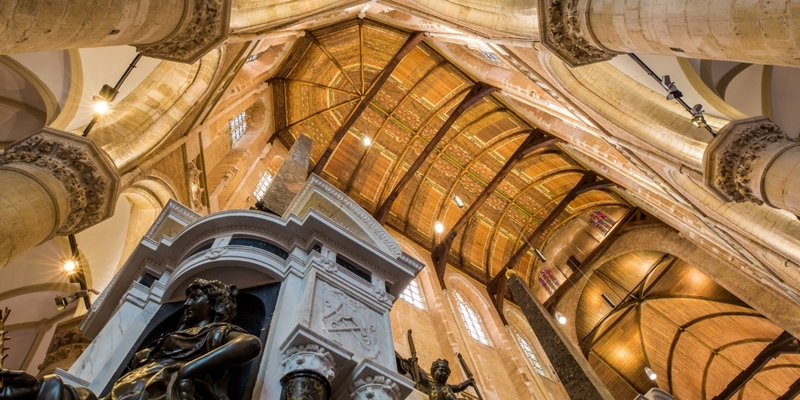 Here, father of The Netherlands ‘William of Orange’ is buried and after that all royals of the house of Orange. But best of all is the view after you’ve climbed the 110-meter high tower with a magnificent view over the city. Hidden in Delft’s inner city, you’ll find several intimate courtyards. 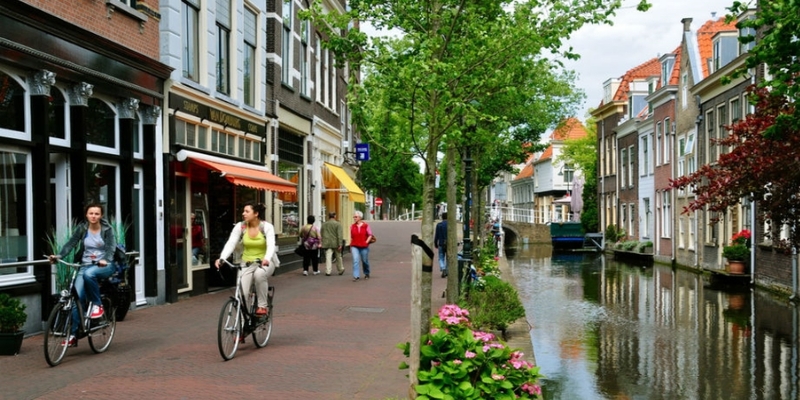 The canals of Delft were incorporated into the original city planning. They served as defense and lifelines throughout the city, delivering goods, people, and supplies. The word “delft” itself is derived from "delven" or, “to dig”. 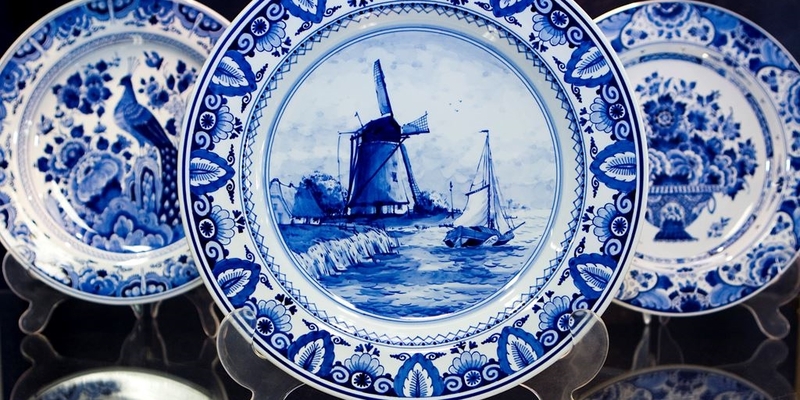 Delft Blue is the world-famous earthenware that has been produced in the city of Delft since the 17th century. 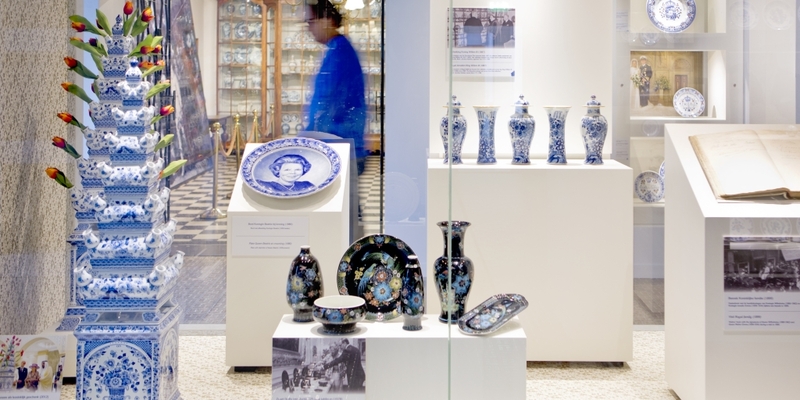 Between 1600 and 1800, this earthenware was popular among rich families who would show off their Delft Blue collections to one another. 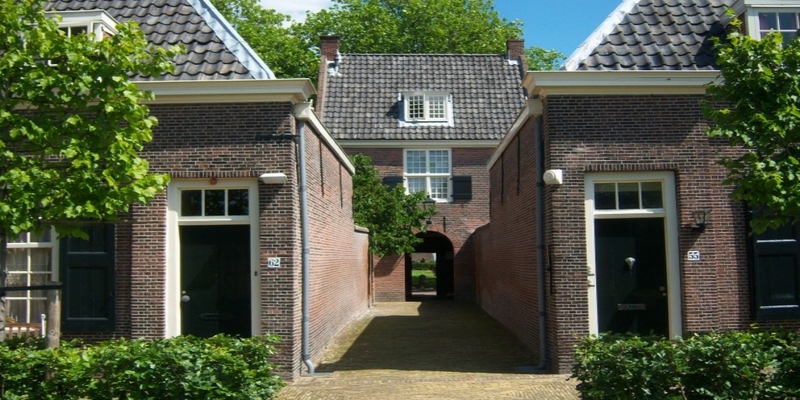 Every child in The Netherlands visits Museum Prinsenhof when in primary school. Why? Basically, because The Netherlands began right here, in Delft. 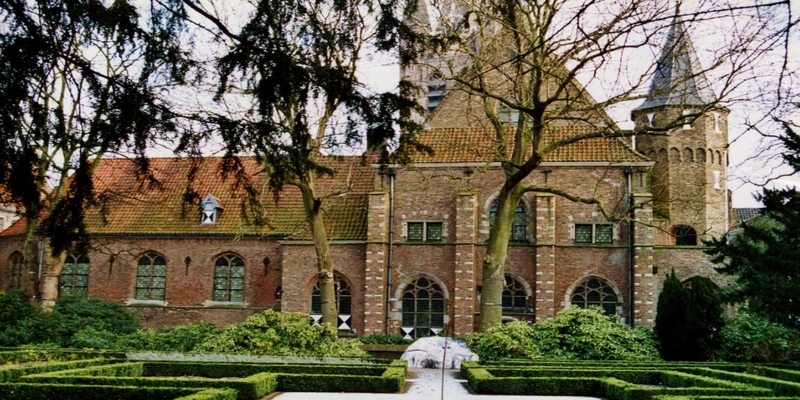 Prinsenhof is where William of Orange was assassinated in 1584 after leading a successful uprising against the Spanish during the 80-year war. The most famous girl in Delft history is of course ‘The Girl with a Pearl Earring’ painted by the Dutch master Johannes Vermeer. The 17th-century 'Master of Light' lived and worked in Delft his whole life. The Vermeer Centrum Delft is the only place in the world where you can admire reproductions of all the paintings of Vermeer in their original size. The masterpiece of Vermeer ‘View of Delft’ and the most famous girl in Delft history, ‘The Girl with a Pearl Earring’are on display at the Mauritshuis in The Hague. Canals, a famous painter (Jheronimus Bosch) and an imposing cathedral.